Arras opened the 12th round of the LFB with a comfortable victory (80-51). Leilani Mitchell was in fine form shooting 7-of-8 from the field to top the scoring with 18 points. Arras also got a solid performance from the FIBA Europe young player of the year nominee Olesia "Olesya" Malashenko (right) who scored 11 points and picked up 7 rebounds. Basket Landes led from start to finish in their win against Toulouse (75-55) while Bourges Basket cruised to victory against Limoges (80-48). Aix-en-Provence fell at home (83-89) to Villeneuve d'Ascq. Mélanie Plust celebrated her nomination for European young player of the year with 26 points for Nantes-Rezé in their victory against Challes-les-Eaux. In the rest of the basketball news from Sunday, Sandra Dijon-Gérardin returned to action this week. She helped Montpellier beat Mondeville (75-56). Charde Houston fired in 26 points for Tarbes in their victory against COB Calais (82-78). Bruno Blier was quoted in the basketball news section of the local regional paper that he had viewed the game against Armentières as dangerous and tricky for Arras. His main concern was Mia Fisher who played for Arras last season. However Fisher was given a warm welcome from the Arras supporters. Arras got off to a flying start and led (9-1) with just over two minutes played. They pushed the advantage up to 10 points (13-3) with less than five minutes played. Blier's fear was confirmed when Fisher went on the rampage offensively. She took on Arras single-handedly and scored the remaining 8 points of her team during the first quarter. Arras led (15-11) by the end of the first quarter. Arras found a solution to keep the ball away from Fisher while scoring 16 unanswered points to stretch their advantage (31-11) with three minutes to play in the second quarter. Armentières never really recovered despite reducing their deficit at the interval (21-34). The hosts controlled the pace of the game during the second half of the match to win comfortably (80-51). Blier's team controlling the game allowed him to finish the match with Princesse Goubou and Juliana Mailounda who both got onto the score sheet. For Arras all the players scored with Leilani Mitchell leading the way with 18 points. Sarah Michel, Pauline Akonga Nsimbo and Hanna Bouldwin-Biernacka all finished in double digits with 14, 12 and 12 points each. For Armentières Anda Nedovic led the scoring with 10 points while Fisher and Valérie Labbe also added 10 points apiece. After all the negative basketball news about EuroLeague basketball for Bourges Basket, they got back to business with a comfortable victory against Limoges (80-48). Limoges' challenge lasted two minutes (4-4)and then Bourges went on the rampage with a 16-2 run to lead (20-6). Limoges did not collapse immediately. With Erica Davis and Aikaterni Spatharou finding their way to the basket they finished the first quarter trailing by 9 points (18-27). The second quarter was a scrappy affair and Bourges extended their advantage by the time the teams went into the locker room (40-26). The second half belonged to Bourges. They gave their opponents no chance and outscored them (40-22). Bourges used 12 players in this match with nobody playing more than 21 minutes. Anäel Lardy (right) led the scoring with 13 points and was voted player of the match from the Bourges supporters. Davis compiled a double-double of 16 points and 10 rebounds for Limoges. There was also some good news for Limoges with the return from injury of Johanna Tayeau who spent four years at the Bourges basketball academy. Aix-en-Provence fired in 12 shots from beyond the arc and did not lose any players for five fouls but ended up losing at home to Villleneuve d'Ascq (83-89). Jolene Anderson was back to her best with 21 points, 3 steals, 3 assists and 11 rebounds for Villeneuve d'Ascq. The game came to it climax in the final quarter when when Claire Tomaszewski (Tom-Tom) brought Aix-en-Provence to within 2 points of their guests (74-76) with 5 minutes left to play. The two teams traded baskets before Anderson with 5 points swung the match finally in favour of Villeneuve (83-78) as the game entered money-time. Julie Page (24 points) and Tiffany Stansbury (20 points) made one last efforts for the hosts but were out done by Lady Comfort, who scored 4 points to see Villeneuve through. Basket Landes scored the first 8 points of the match and did not allow their guests from Toulouse into the game. They led (27-14) by the end of the first quarter. They stretched their advantage by the half-time break (45-28). Toulouse fell further behind by the end of the third quarter (38-57). They only started to play to their full potential in the final quarter when it was too late to save the game. For Basket Landes Anaïs Le Gluher (19 points) and Aja Parham (12 points and 5 steals) will take up all the space in the basketball news section in the regional papers for their performance in the (75-55) victory. For Toulouse it was not a match to remember despite the efforts of Agathe Nnindjem-Yolemp and Leah MetCalf with 13 points each. However Katerina Dorogobuzova is getting accustomed to LFB basketball. Pauline Krawczyk from Montpellier has had a great season so far and was once again the player of the match. She scored 26 points, handed out 5 assists and drew 5 fouls in the (75-56) victory against Mondeville. Sandra Dijon-Gérardin marked her return after illness with 19 points. Her performance swung the game in favour of the hosts. The injury problems of USO Mondeville has been well documented in all the basketball news media outlets in France recently and unfortunately the list has got longer. This match was slightly spoiled with the injury to Esther Niamke-Moisan. An ambulance had to be called after the initial first aid. Nantes-Rezé made it six wins in a row after beating Challes-les-Eaux (80-74). Lindsay Taylor was the player of the match with 25 points, 11 rebounds and 2 blocks for Nantes-Rezé. However her team-mate Mélanie Plust found her scoring touch from beyond the arc with 6-of-9 and top scored with 26 points. 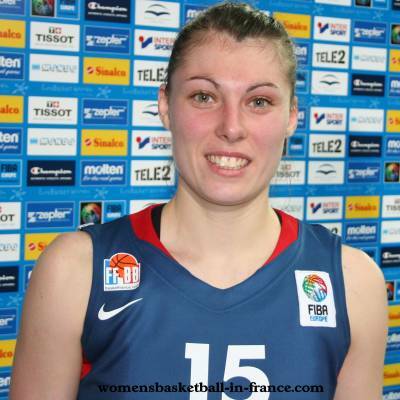 Martina Gyurcsi-Luptakova had her best game of the season and led the Challes-les-Eaux scoring with 20 points. Magali Lacroix and Elena Babkina contributed 16 and 14 points for the hosts. With two minutes to play in the third quarter, Doriane Tahane put Nantes-Rezé in the lead for good from the free-throw line (55-54). The teams played cat and mouse till the end with Nantes-Rezé holding on for the victory. Tarbes did what they had to do to win and were never in danger against Calais. 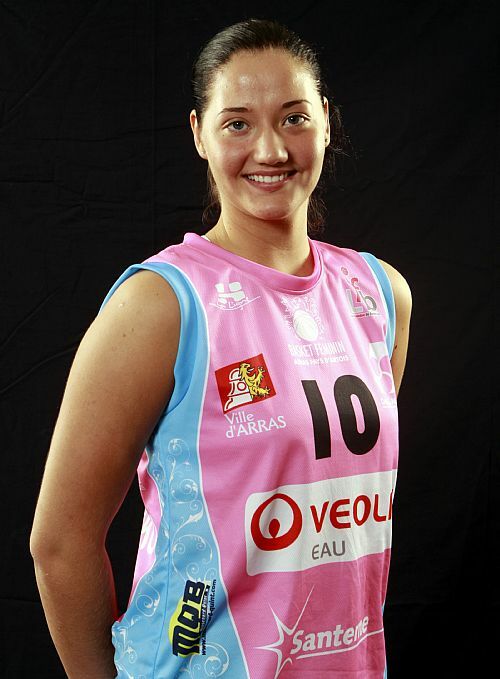 Calais did not have a full roster and brought in Mélanie Devaux from their basketball academy. She played for 17 minutes and scored 8 points. Charde Houston fired in 26 points and Isabelle Yacoubou-Dehoui added 13 points for Tarbes in their victory (82-74).